3 Beds 2 Baths 2,482 Sq. ft. Looking for a gorgeous house situated on a huge lot??? Well here it is, your search is over! Just about 1.5 Acres of cleared yard to spread out from neighbors and room for pool, entertaining space or just elbow room! Step into the tiled foyer and check out the large rooms everywhere! Seller is using the formal living area for dining room - works great for family gatherings. The actual dining room is being used as home office but plenty of room for your dining table & chairs! Fully equipped updated kitchen w/lots of granite counters & work area that is great for cookbooks & room for chair. Oversized garage has room for 2 cars & work bench area, there is a second laundry area available but slr moved w/d inside for huge laundry area & storage room. Family room has two French doors w/wood burning fireplace along with small storage area currently used as work station. Bedrooms are good sized, secondary bedrooms share a Jack and Jill bathroom. Upgraded wood laminate flooring throughout; neutral decor, screened lanai with plenty of room for patio furniture; roof - 2014; brand new water purification & softener system, septic tank pumped within last 6 months, transferable home warranty. 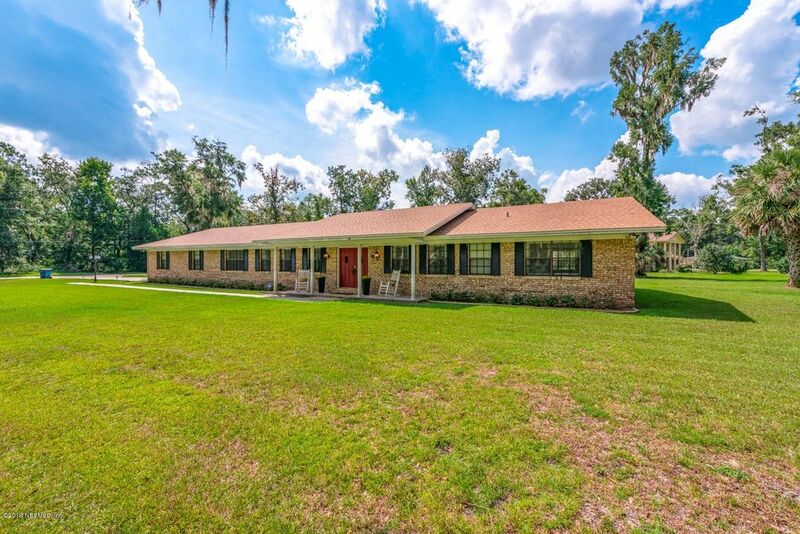 Gated Community tucked away from the hustle and bustle yet minutes from JIA, River City Marketplace, NAS JAX, NS Mayport, Blount Island, main thoroughfares and downtown! You will not be disappointed. Window curtains do not convey. Short Sale with PennyMac (FHA loan). Directions: From Starratt Rd, head north on Yellow Bluff Rd, t/r on Eagle Bend Blvd, thru gate & follow to house which is on the corner of Eagle Bend Blvd & Ct. Park in driveway.